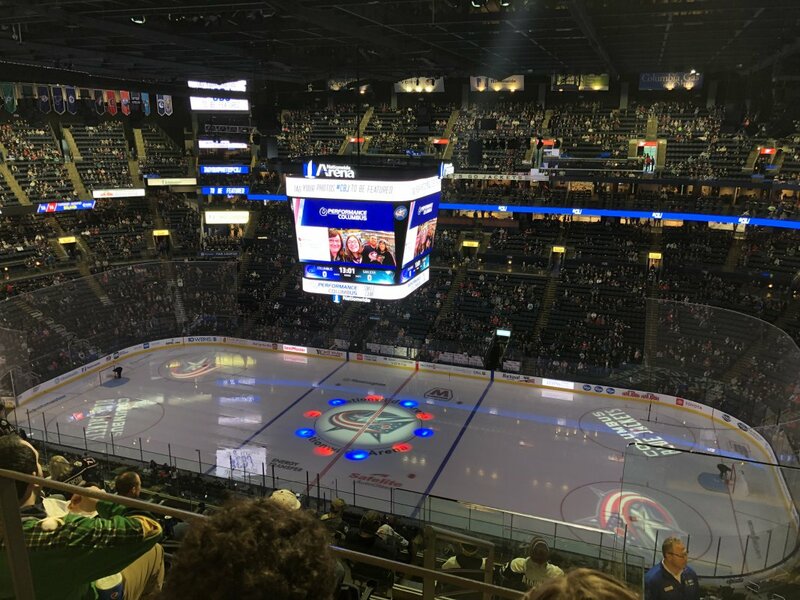 Cleveland and Cincinnati get all the attention when it comes to professional sports in Ohio, but the most populous city in the Buckeye State is its capital, Columbus, and it has a stake in the pro sports scene as well with franchises in the NHL and MLS. 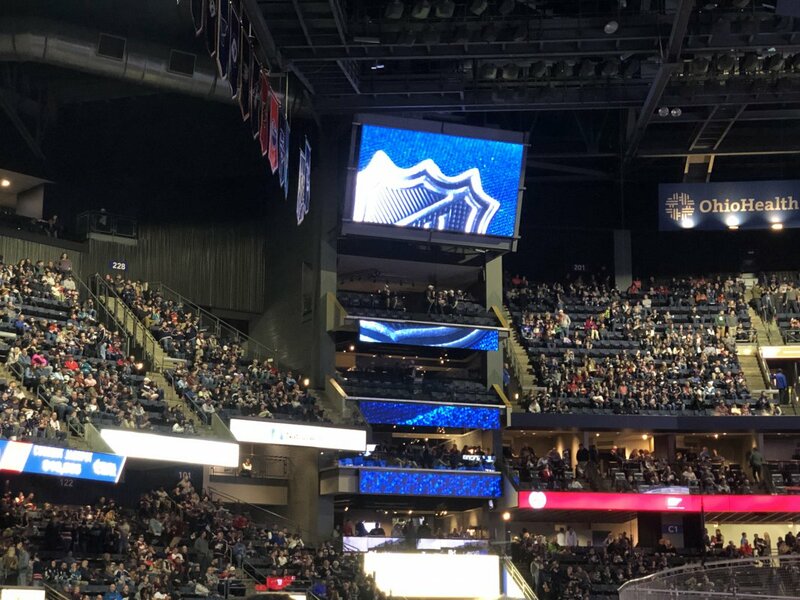 In a city where the attention of sports fans tends to be laser-focused on Ohio State, the NHL’s Blue Jackets sometimes have to fight to be noticed — and it hasn’t helped that the franchise has only made the playoffs a handful of times in its existence. 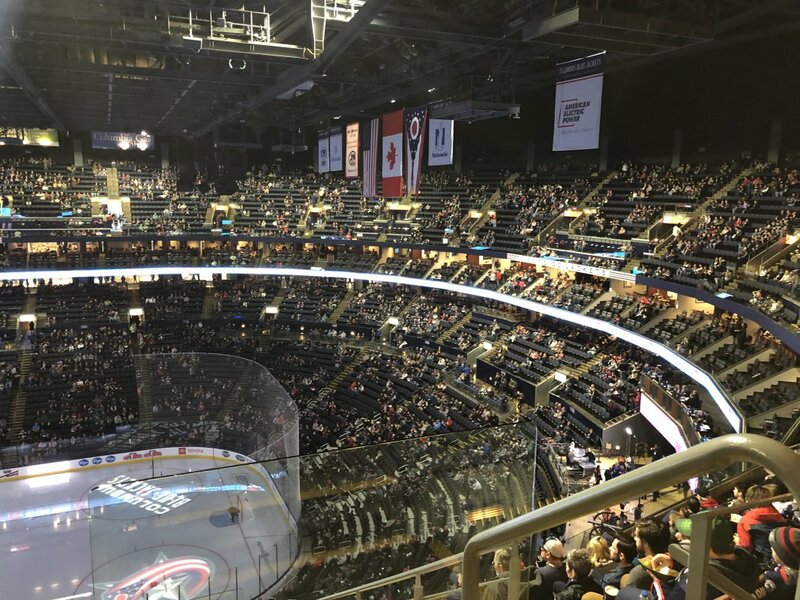 But that’s not to say the Jackets get overlooked. 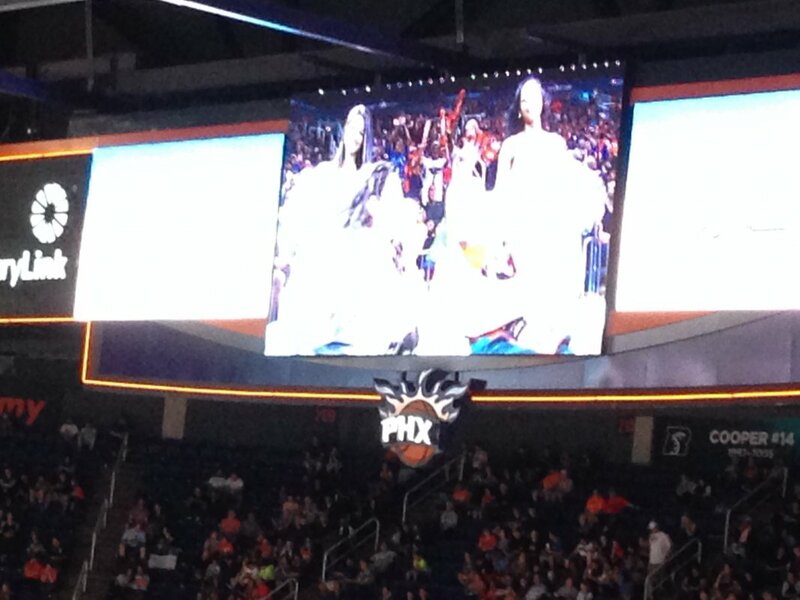 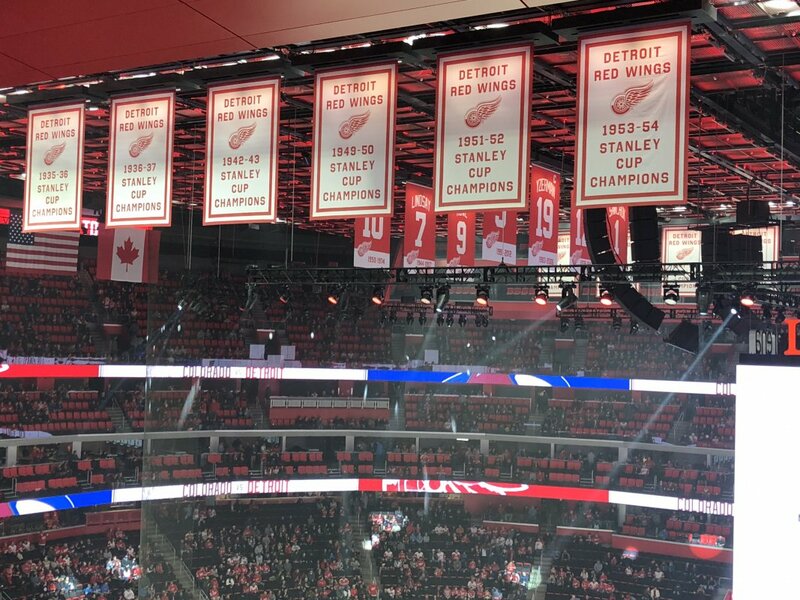 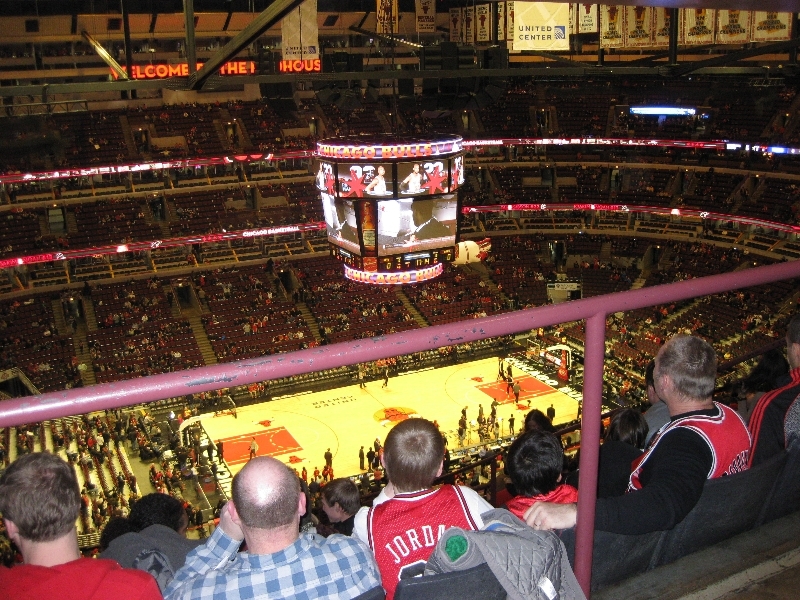 They do have a passionate fan base and a beautiful arena in which to gather to watch their team play. 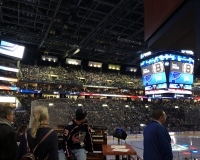 Nationwide Arena is located in the heart of downtown, making for a fine atmosphere to watch hockey both inside and out. 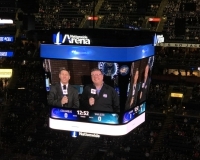 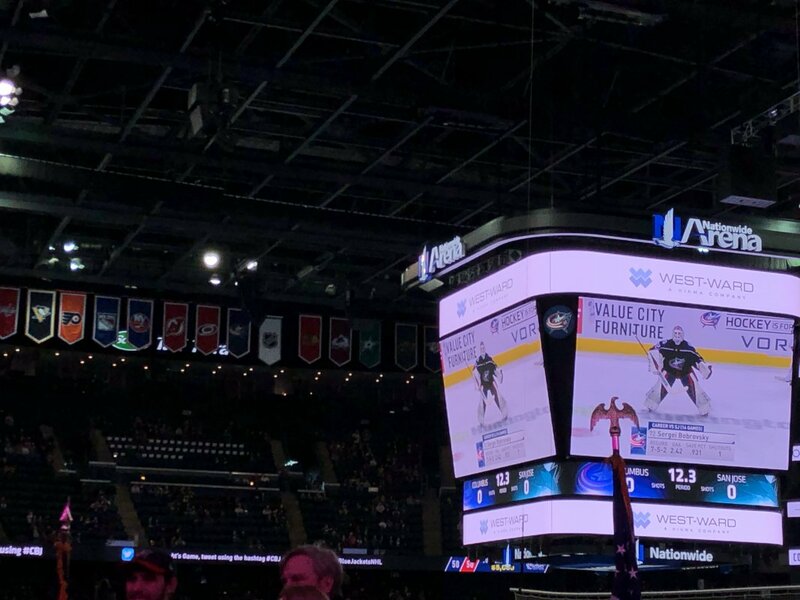 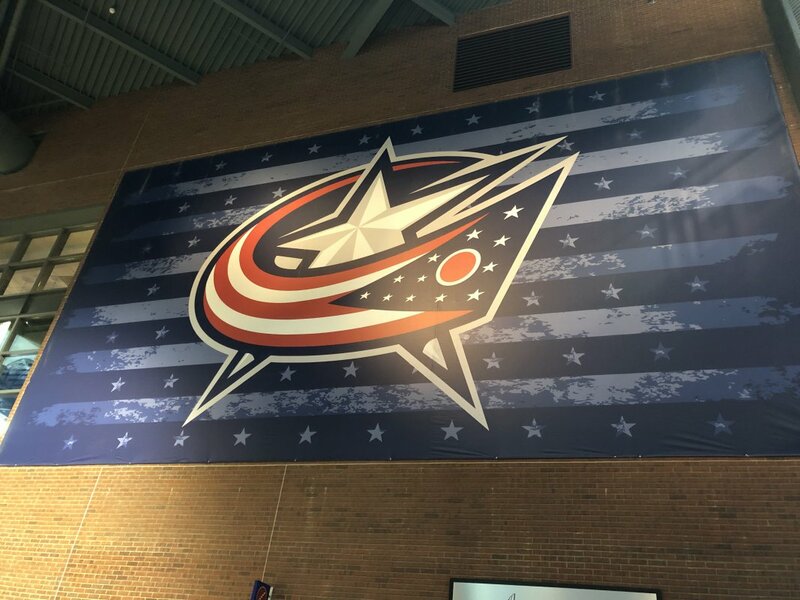 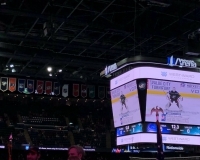 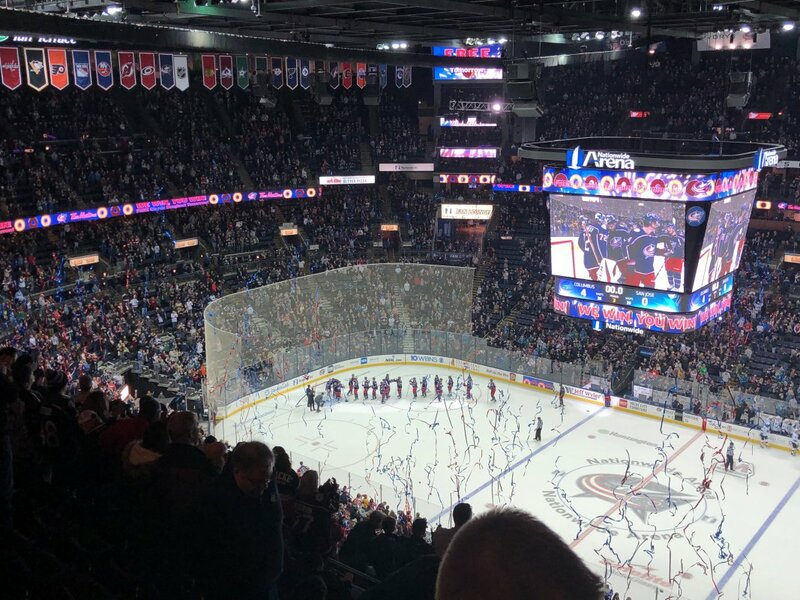 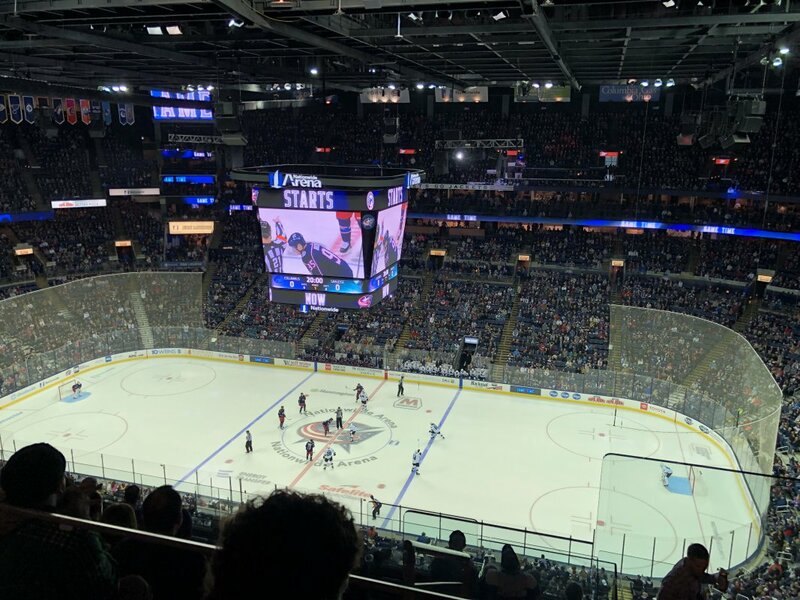 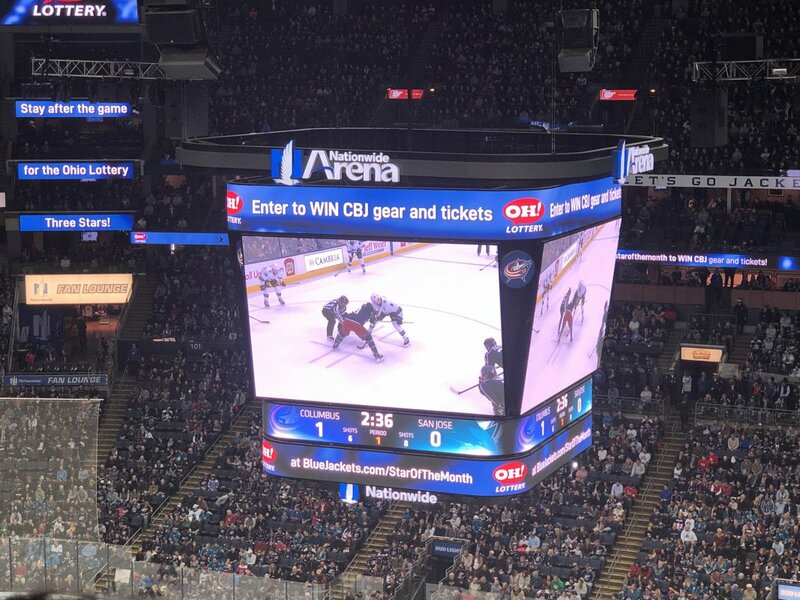 Whether you’re a certified puckhead or you’ve come to town because of college football or basketball and are looking for more sports to pass the time, a Blue Jackets game at Nationwide Arena is worth the trip to Columbus. 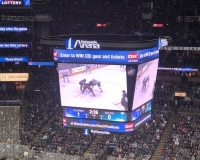 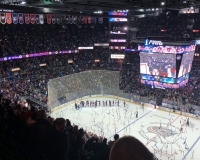 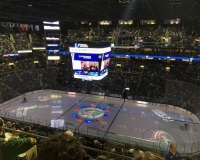 Nationwide Arena is located in downtown Columbus, not far from the Ohio Statehouse, in the burgeoning Arena District, with restaurants, bars and hotels all around. 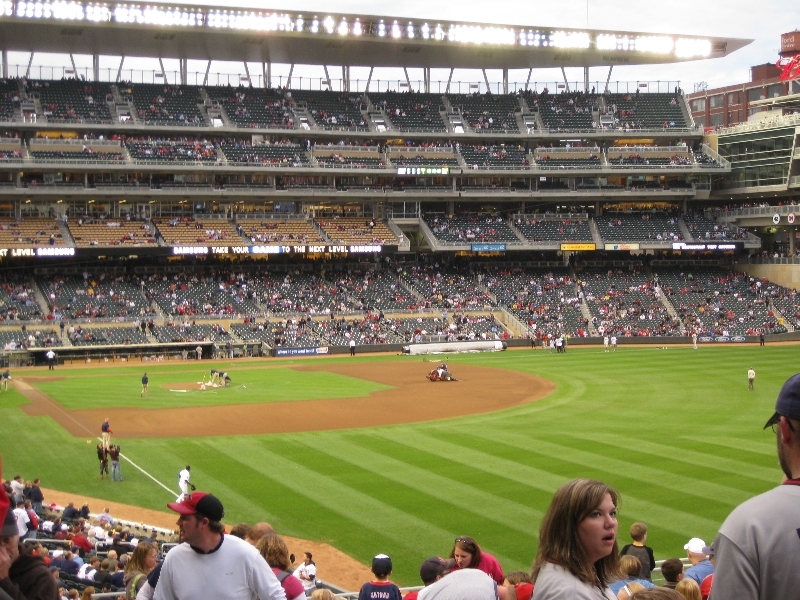 As such, it’s not a difficult place to reach via car, as major freeways surround the area. 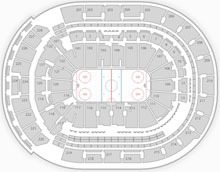 You can find detailed directions here. 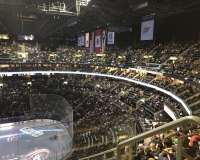 If you’re a visitor to Columbus, you may find it easiest to stay in a downtown hotel and just walk to the game, and for that you have many lodging choices. 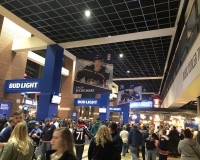 Several major hotels surround the nearby Greater Columbus Convention Center and are just a couple of blocks away from Nationwide Arena. 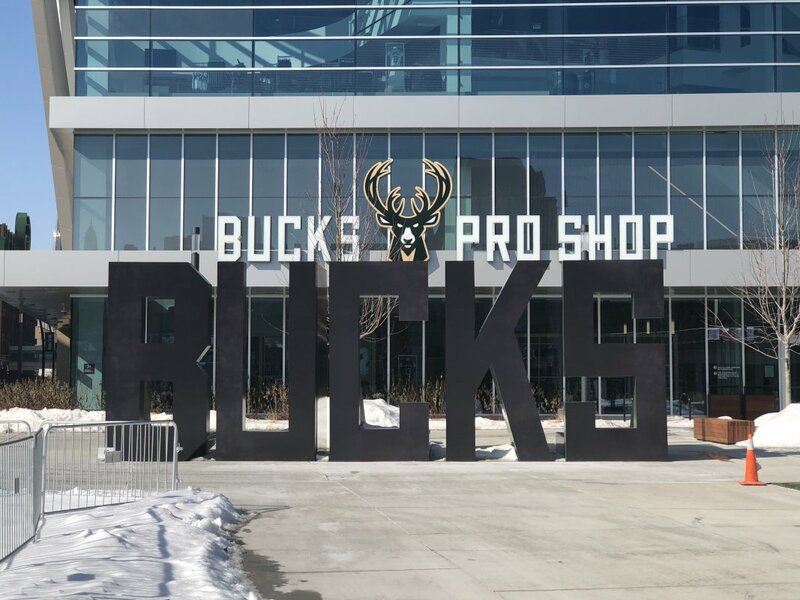 You also don’t have to walk if you don’t want to. 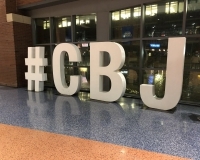 The city runs a free downtown circulator called the C-Bus, which runs a north-south route along High Street, two blocks east of the arena. 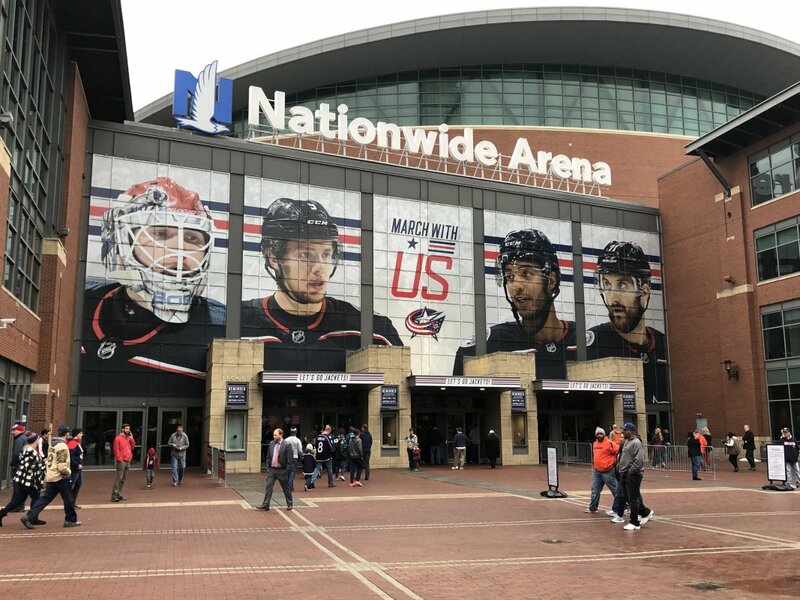 Get off at Nationwide Boulevard to get to the arena. 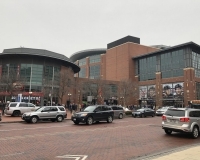 The C-Bus can also be used to get to nearby neighborhoods such as Short North, the Italian Village, the German Village and the Brewery District. 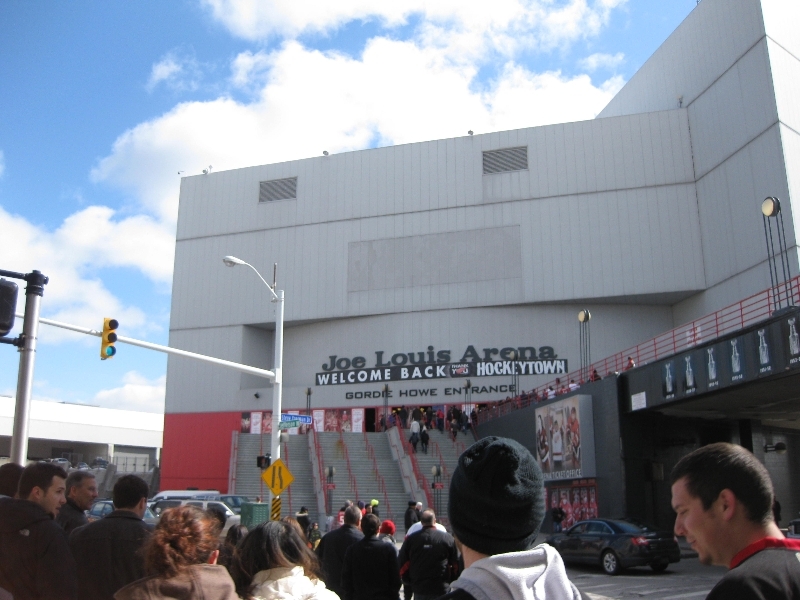 Once there, the arena has a dedicated garage just north of the building, accessible via Neil Avenue. 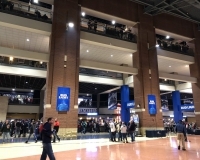 But there are a number of structures and lots within a radius of a few blocks — a detailed parking map can be found here. 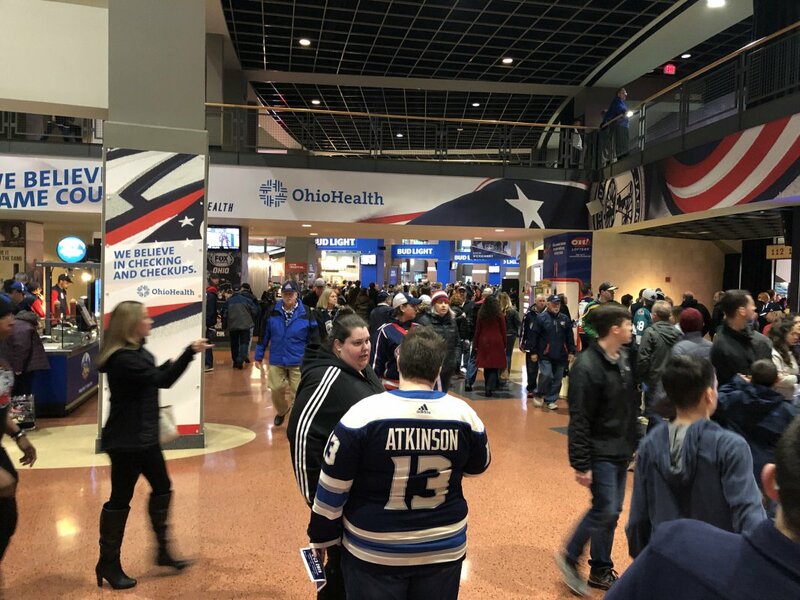 You can also purchase parking in advance for Blue Jackets games as well as any other event happening in the Arena District. 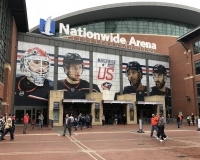 If Nationwide Insurance sponsoring the arena’s name wasn’t enough, the building is located on Nationwide Boulevard, and the company’s headquarters are just down the street. 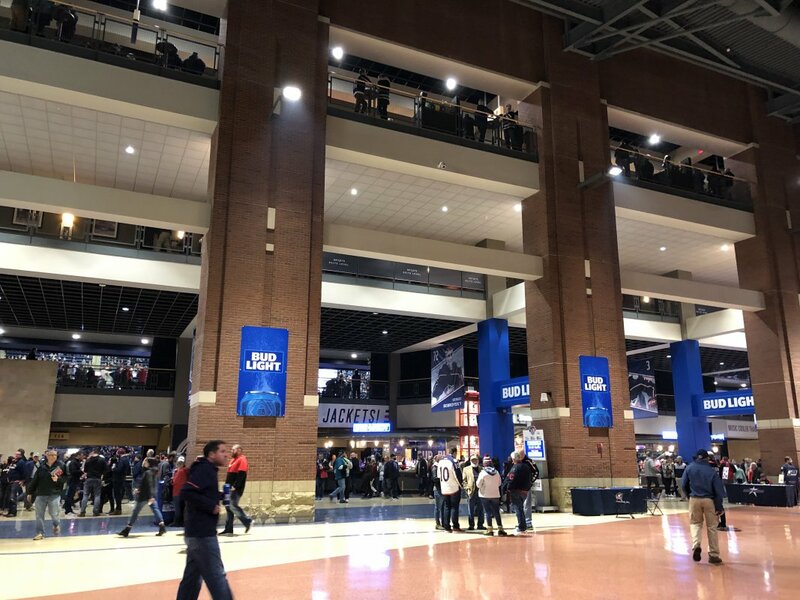 So don’t be surprised if you find yourself absentmindedly humming that Peyton Manning Nationwide jingle as you’re walking around. 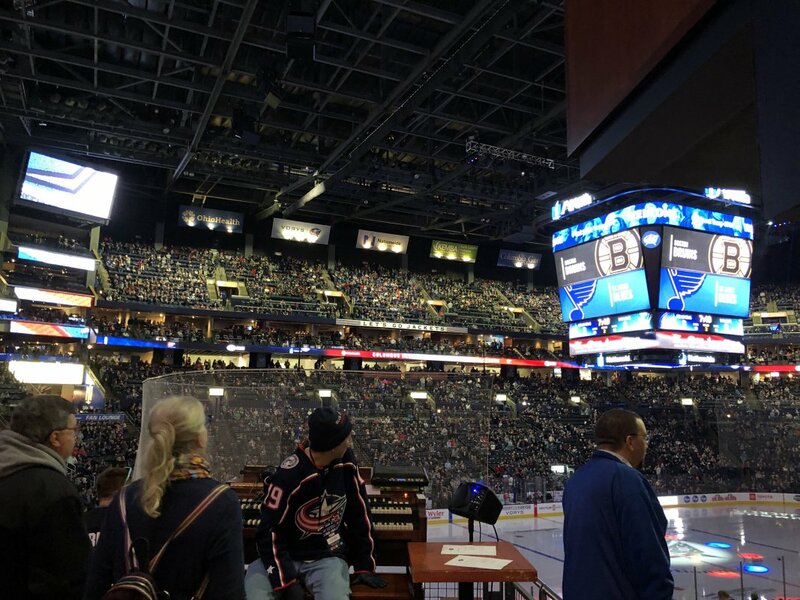 Whether you work for Nationwide, live in Columbus or are just there to see the Jackets, hanging out in the Arena District makes for a great time and is one of the biggest draws for most fans who want to catch a game. 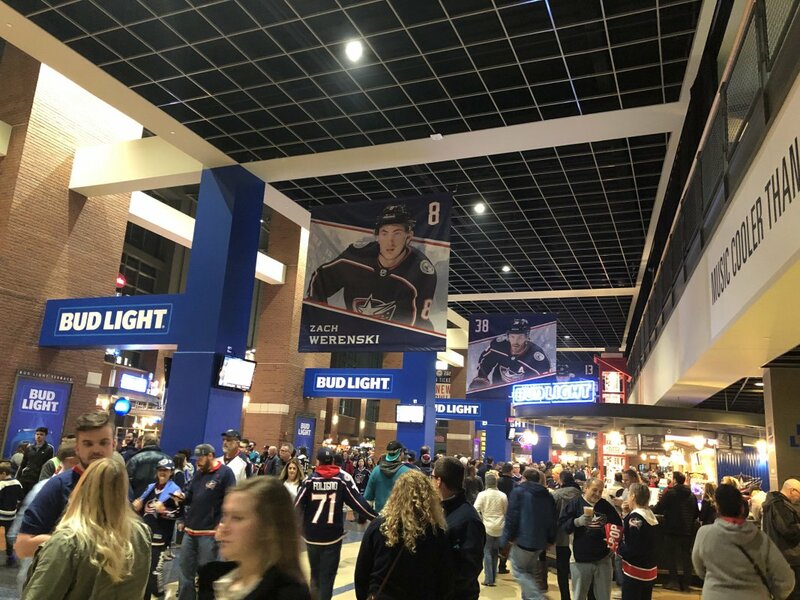 The options for eating and drinking before and after the game are nearly endless. 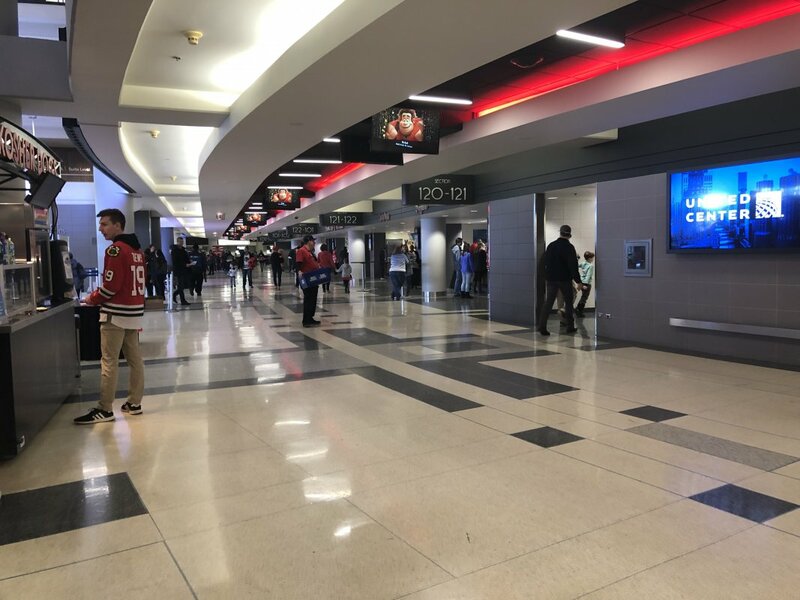 You can start on the arena grounds, where there’s lots of restaurant space (the buildings currently house a Gordon Biersch, a Chipotle and a Buca di Beppo). 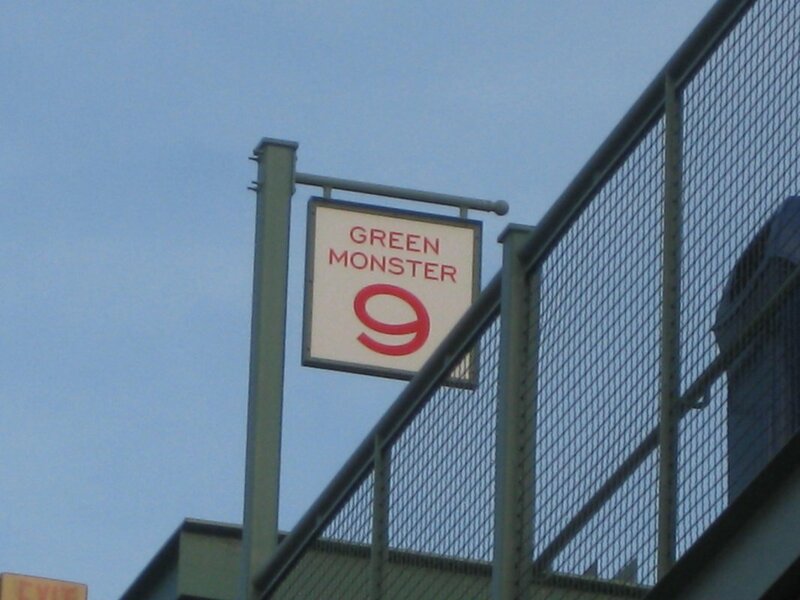 But it’s worth walking a few blocks in any direction to find more options. 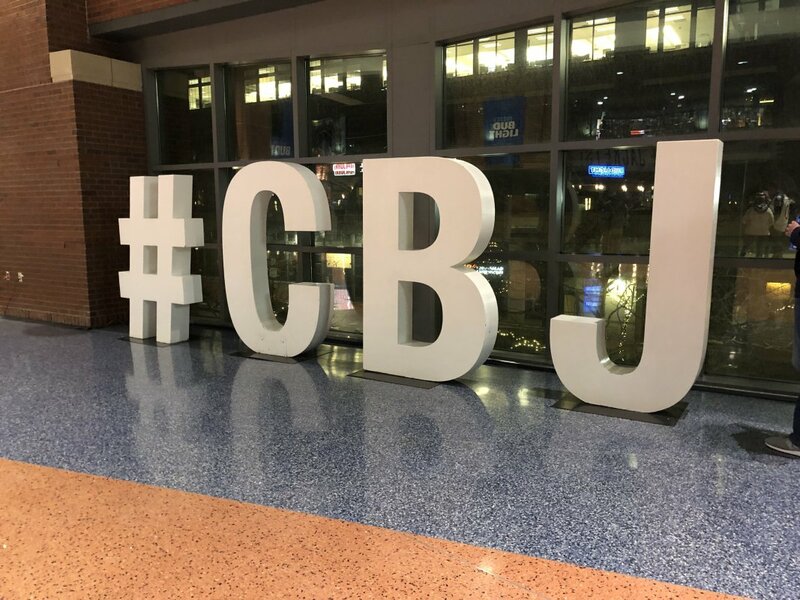 If you’re interested in hanging with a younger crowd, you could consider heading north of downtown to the burgeoning Short North neighborhood. 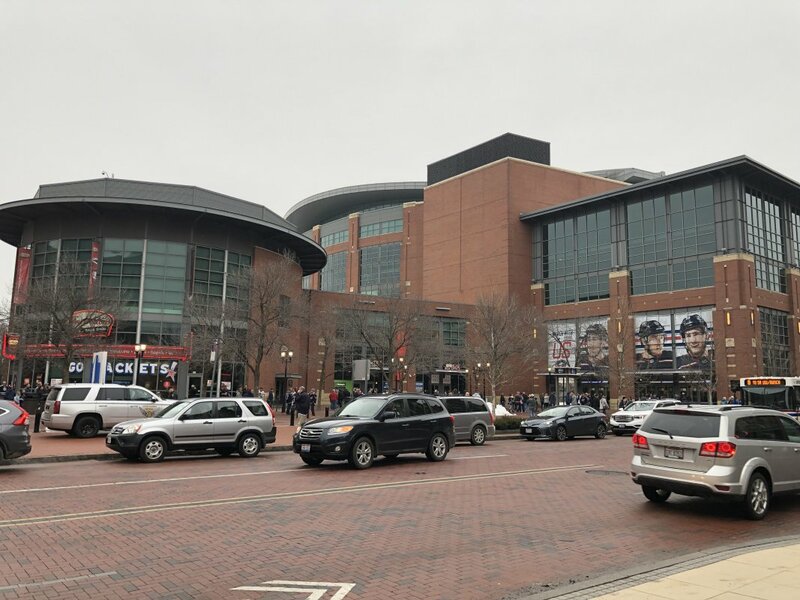 Or, a little farther north, there’s the area around the Ohio State campus, which could be just as lively or even more so depending on the time of year. 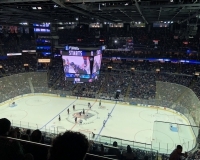 Designed for hockey, Nationwide Arena has the sightlines you’d expect at a hockey arena, with good views unless you’re in the uppermost rows. 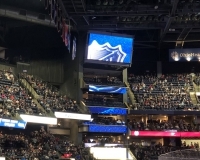 It’s a fairly distinctive arena to walk through as well, with wide concourses, marble floors, brick walls and huge windows that look out onto the city. 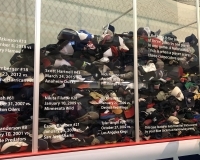 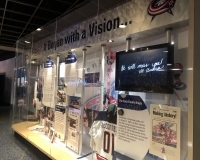 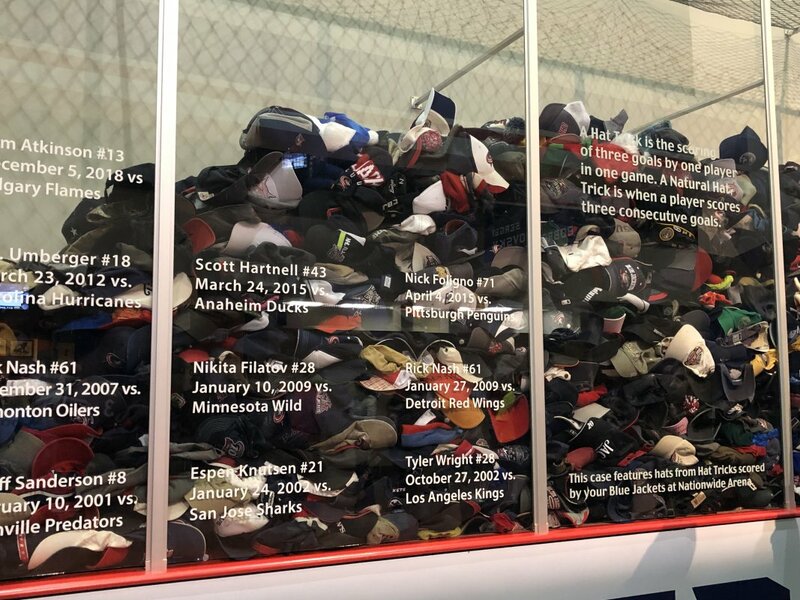 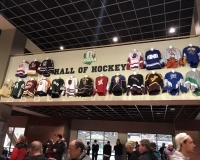 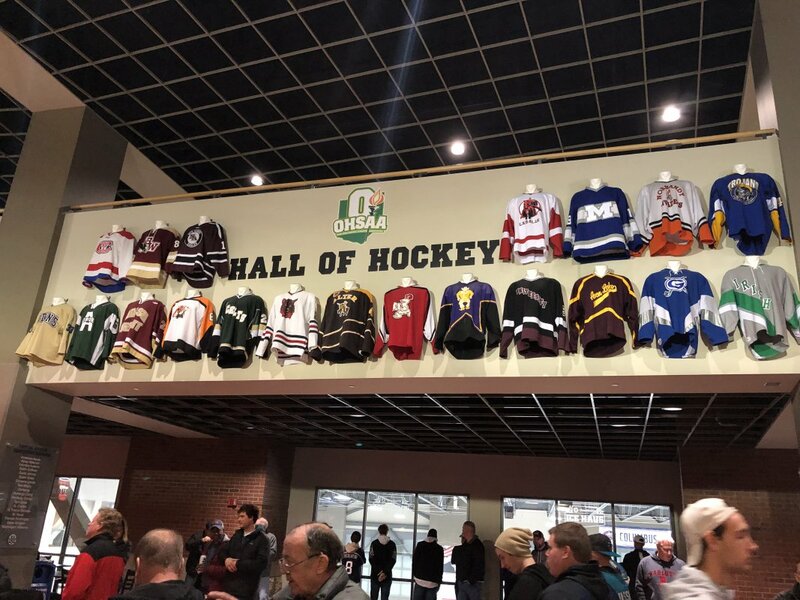 You can see exhibits such as one dedicated to high school hockey in Ohio, as well as a collection of hats thrown onto the ice from Blue Jackets players’ hat tricks over the years. 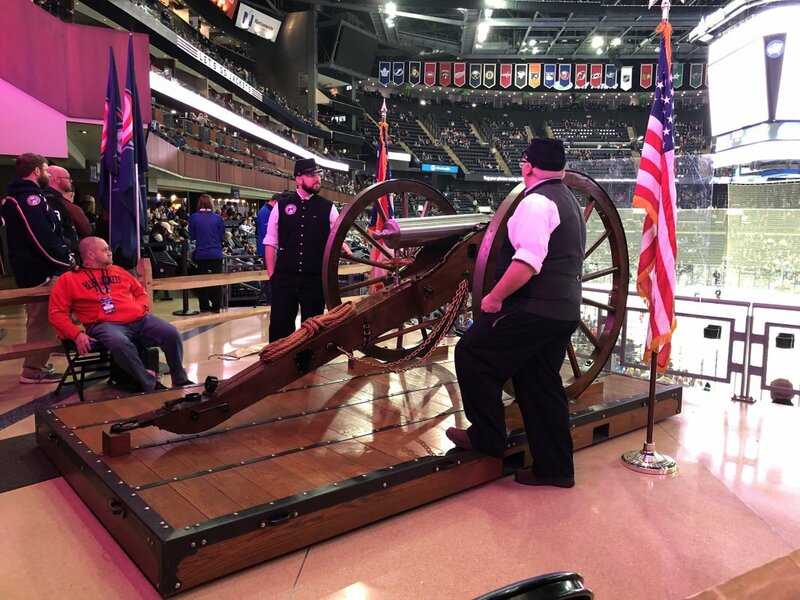 As for the game experience, be on your guard when the Jackets take the ice or score a goal, lest you be caught off guard by the very loud cannon that goes off in celebration — for those who don’t know, the nickname “Blue Jackets” refers to Ohio’s role as part of the Union Army in the Civil War, thus the use of a cannon. 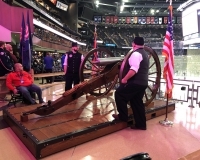 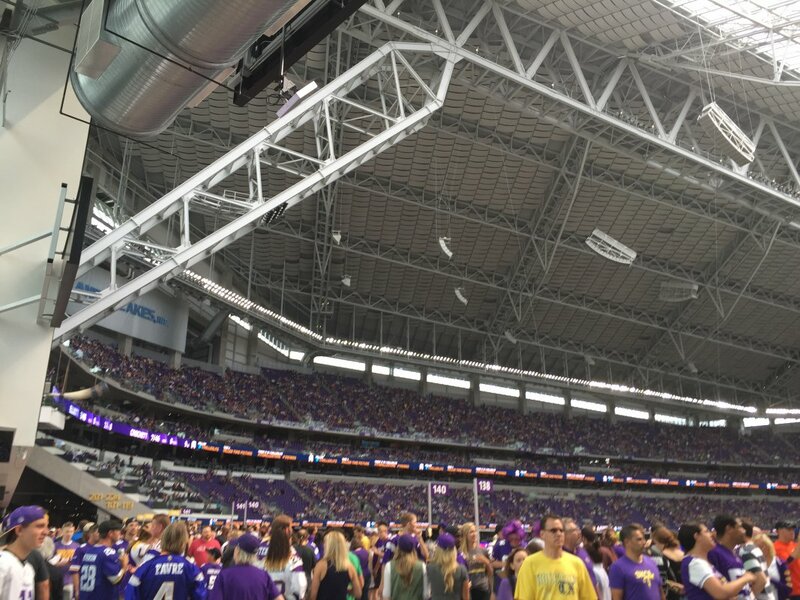 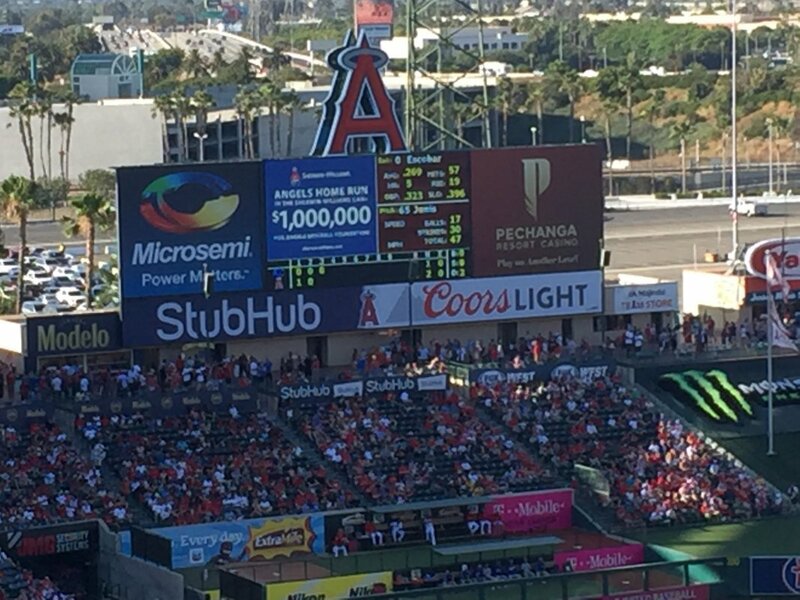 You can get an up-close look at it over by Section 111. 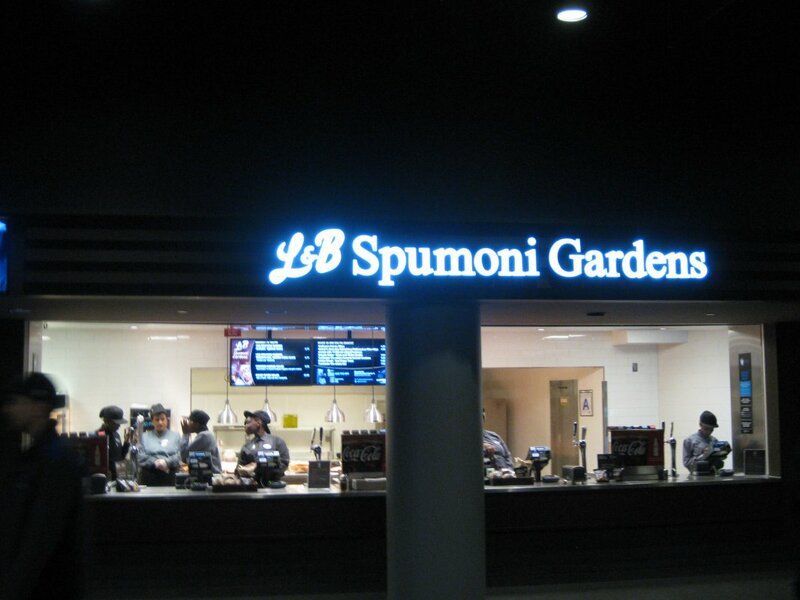 Concessions options are varied but not too spectacular. 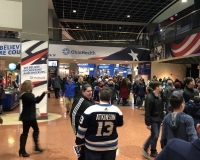 Among the more unusual things you can find are Skyline Chili (coneys and cheese fries) and (it is primarily a hockey arena, after all) that Canadian favorite, Tim Hortons — there’s a standalone location attached to the southwest corner of the arena. 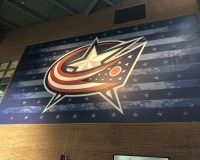 One fan favorite is the Arena Smokehouse, which serves up pulled pork, brisket and more.